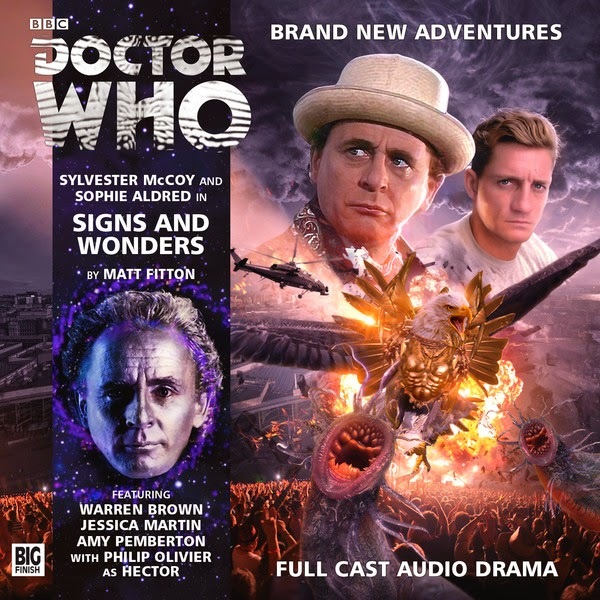 Where To Start With Big Finish: The Seventh Doctor | Warped Factor - Words in the Key of Geek. Tony Fyler plays the contest again. The Seventh Doctor is probably the most enigmatic incarnation since the First, and made an on screen habit of playing long and often twisted games with the lives of his companions to defeat unimaginable (and rather esoteric) enemies from the dawn of time. 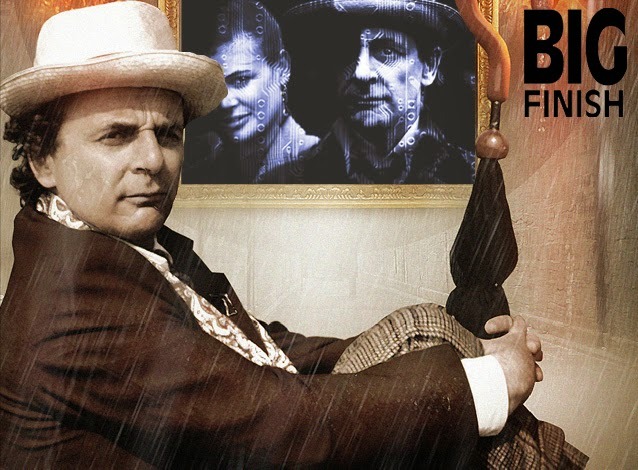 Big Finish has embraced that incarnation and taken it further than the imaginations of 80s TV Who audiences would ever have had the patience for – the fact that the audio stories are made for die hard, money-paying fans has allowed the company to focus on the things that made the Seventh Doctor work, more than the general TV audience would ever have allowed. Over fifteen years, there is an embarrassment of Seventh Doctor riches to choose from, so as ever, feel free to add your own recommendations in the comments, but here, we give just a handful that make ideal jumping-in points. In one of those moments that makes you think ‘Why did no-one ever do this before?’ the Seventh Doctor and Ace get mixed up with everyday Nazis in a pseudo-classic prison camp escape story. Except of course, this is the Seventh Doctor, so the action is massively complex and moderately mind-boggling. More to the point though, this story brings Ace face to face with herself, or rather with Dorothy McShane, the person she never wanted to be, the person underneath all Ace’s bravado and explosive personality. It’s punch-in-the-stomach stuff, and her scenes with a then-little-known actor by the name of David Tennant as sleazy Nazi Feldwebel Kurtz will make your hair stand on end more than once. It also introduces a character called Klein, who has a twisted timeline all of her own, and you’re not going to want to miss the beginning of that. 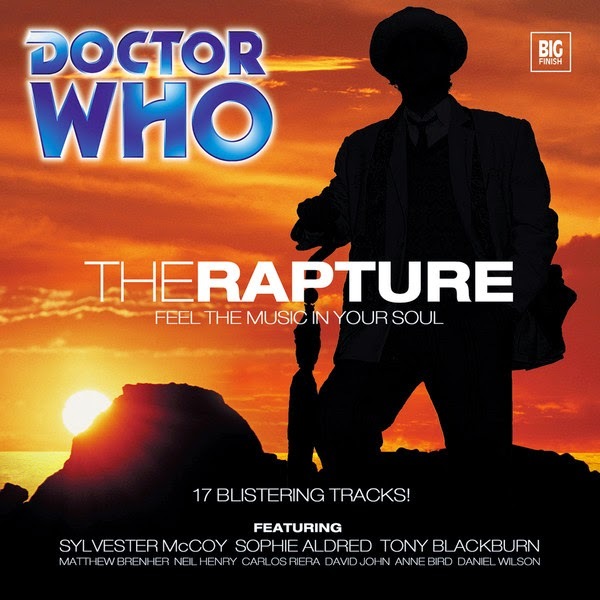 Following on from the events of Colditz, the Rapture is an oddity, that again focuses on Ace coming to terms with her rage, her history, and her changing nature as she stays with the Doctor. The oddity comes from the scenario itself – the party scene in Ibiza, where the Doctor fits as uncomfortably as he did in the 1950s rock and roll dancehalls of Delta and the Bannermen. But when angels appear to save the souls of the young clubbers, he can’t let Ace have what she most desires – the chance to reunite with her brother, and the opportunity to just be young and careless for a while. Also, did we mention, there’s a slightly creepy Tony Blackburn cameo. Yes, that Tony Blackburn. Yes, really. The third and final part of the loose Cyber-trilogy (The Gathering, The Reaping, The Harvest), sees the Doctor and Ace doing the sort of thing they always seemed suited for, but seldom did on screen – long-term undercover work. Peculiar bodysnatching nastiness at St Gart’s Hospital, slightly in our future, reveal a Cyber-plan aided and abetted by unprincipled medicos. Apart from showing the Doctor and Ace in one of their most comfortable phases, working well and seamlessly together, it also introduces one of the Seventh Doctor’s longest-standing audio companions, Thomas Hector Schofield (played by Philip Olivier), known as Hex, who proves his mettle and his curiosity in this story, to Ace at least – she persuades the Doctor he’ll be useful going forward and a new Tardis team takes shape. A creepy one this, with an almost Cluedo-like construction. Doctor John Smith seems to come from nowhere, and has, at some time he can’t remember, been horribly burned. But over the course of ten years, he has made friends and done good work. When he invites his closest friends to his home for an evening, the story of his origins, and his nature, unravels, and the good man that he has been is in danger of losing both his soul and his existence altogether, as the corruption at his core threatens to break out. 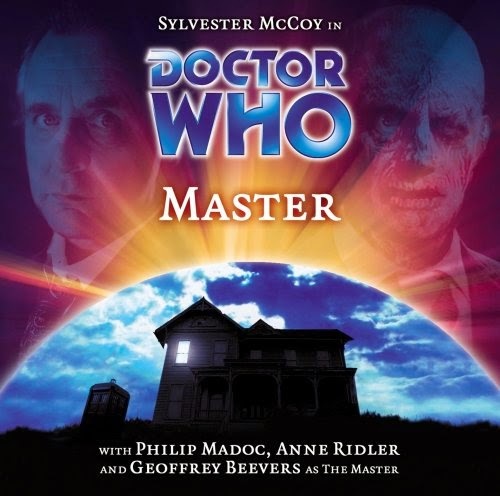 This story has possibly a career-defining performance from Geoffrey Beevers, as the good man caught in the cross-hairs of an inescapable dark destiny, and McCoy’s Doctor is at his most pathetic (in the true sense of the word), taking responsibility for an appalling truth from his childhood with the man who would become the Master. This story fits seemingly nowhere in the overall arc of the audio canon, but it’s a thing of superb singularity. The pitch for this story seems to be ‘The Curse of Fenric II – The Revenge’. Yes, the chessmeister with the haemovore hordes is back, in an epic battle that involves not a little timey-wimey toing and froing and, in an echo of the original, the sacrificing of a companion to win the greater battle. This is one of the pinnacle points of the Seventh Doctor’s relationship with Hex, and besides – it’s the return of Fenric! You know you need to catch that one. It’s at least as complex as the original too, so hang onto your hats and perhaps be prepared to give it more than one listen to make sure you understand what in hell is going on. Certainly not one to listen to while attempting to Do Something Else, or even, largely, to Think About Something Else. You’re either with Gods and Monsters all the way, or it’s not really worth the effort. 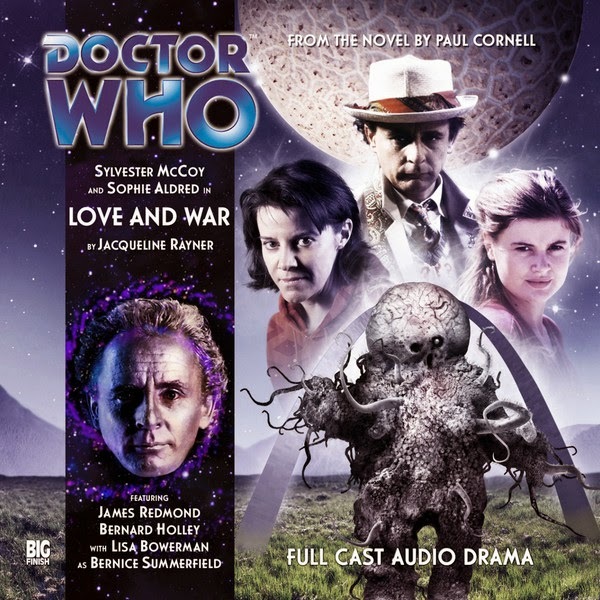 A complete departure from the usual audio canon, this – it’s the audio version of Paul Cornell’s original New Adventures novel, which introduced one of the Seventh Doctor’s more peripatetic and irresistible companions, Professor Bernice Summerfield (played consistently in audio by Lisa Bowerman). Intended initially to write out Ace and replace her with Bernice it’s a story of what might have been, and it’s both complex and, at its core, deliciously straightforward. Ace and the Doctor come to a conflict from which there’s no turning back, but ultimately, this is Bernice’s story, and Bowerman invests the character with the kind of personality that had things been different it would have been a pure joy to see on screen. An odd, adjunctive story, to be sure, not in keeping with the mainstream audio canon, but one that delivers an origin story to a companion who has gone on to have a life entirely of her own. At the risk of spoilering the reader absolutely rotten, this is a story about death and consequences. 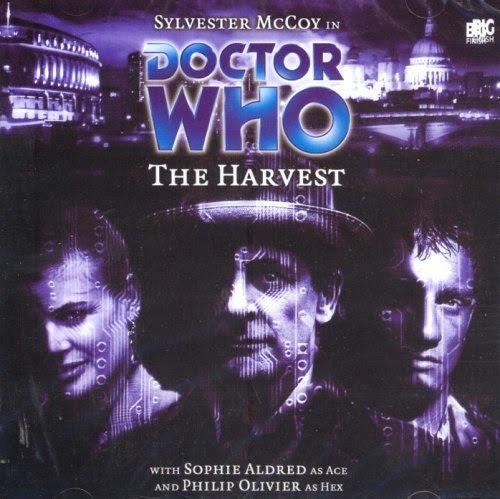 It’s also a story about the disconnection of the Doctor to the lives of the people with whom he travels, his alien perspective that was in evidence back as far as the First Doctor’s involvement in the Massacre of St Bartholomew’s Eve. Steven Taylor roasted him for his detachment then, and another companion repeats the same charge of callous disregard here. 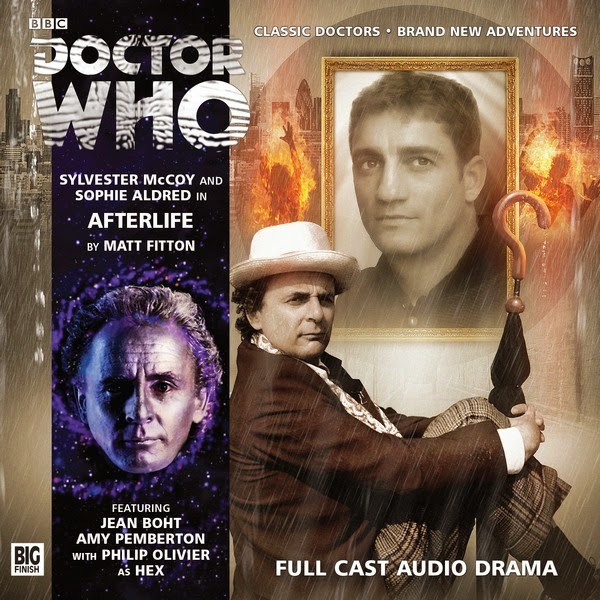 But if you ever wanted to see Sylvester McCoy at his absolute pinnacle as the Doctor, if you ever wanted to hear him give a speech the like of which have become the punch-the-air moments of New Who, you have to listen to Afterlife, as it gives McCoy just that, the kind of speech that was meat and drink to Tennant and Smith. McCoy plays it low and straight and somehow more terrifying than either of his younger future selves. Listen to Afterlife for this alone and you’ll be satisfied. Listen to it for the complications of story and human emotion and it will elevate itself still further in your mind. Robots of Death II. You’re on board right now, aren’t you? The Seventh Doctor wandering around a cargo ship packed to the gunwales with Vocs, Dums and at least one SuperVoc, being his infuriating, enigmatic self as people – apparently including him – start dying. Robophobia is perhaps not everything you might be hoping for from a sequel to one of Tom Baker’s finest – but it’s pretty darned close. Also, this story introduces us to MedTech Liv Chenka, who will become important to the Eighth Doctor. One of the most recent Seventh Doctor stories, this, at least for now, appears to be the end of Hex’s story-arc. It’s also a rather beautiful and neat drawing together of strands from across the Seventh Doctor’s life – the battles with the Elder Gods like Ragnarok and Fenric in particular. There’s an apocalypse at hand here, but the tone is never particularly dark. Rather, it’s a roller-coaster ride the like of which would have worked in the TV days. 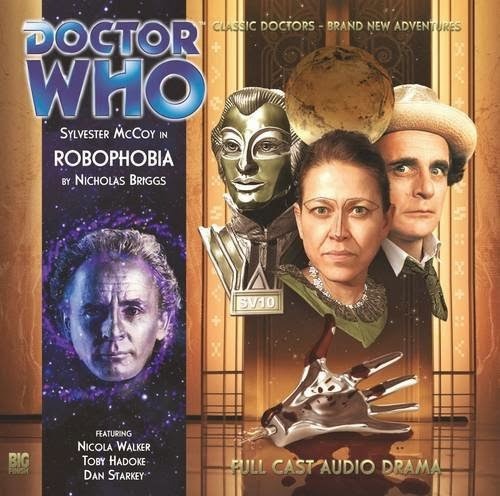 Fortunately, McCoy continues to go on strong, but if you’re going to draw a line under the Seventh Doctor on audio, you probably couldn’t do so till you get to this point. This is the natural inheritor to McCoy’s final speech in Survival as the Seventh Doctor and Ace head off into the universe to have new adventures, a believable end-point under which to draw a line. 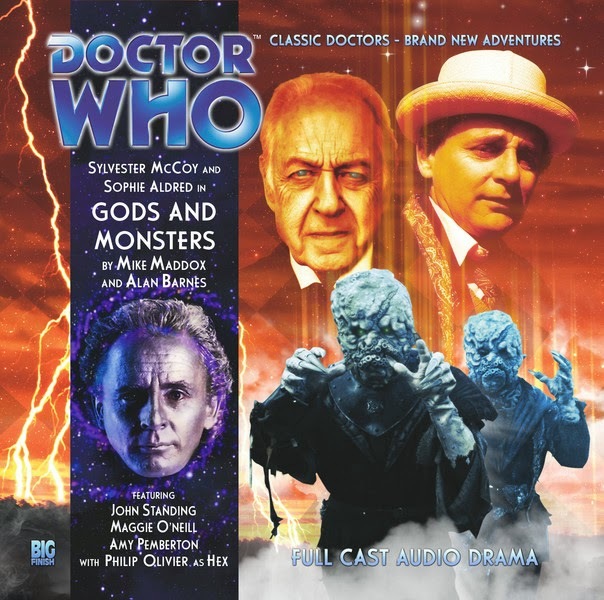 There are of course many more Seventh Doctor audio stories – but dive in with these and you won’t go wrong.